Just like every morning i started my day with two glasses of water on an empty stomach then had my cup of coffee and my breakfast! 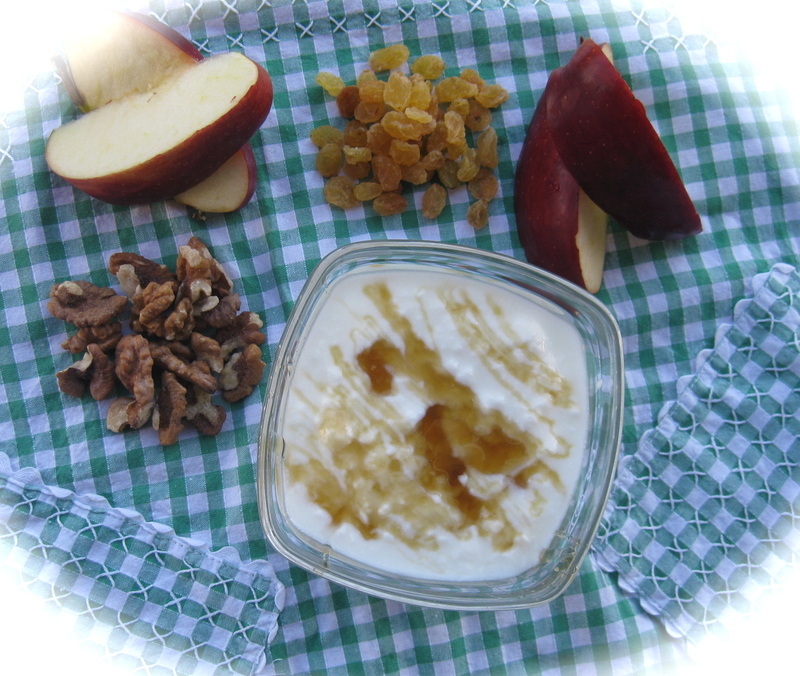 I prepared a bowl of fat free yogurt with a teaspoon of honey, 5 walnuts, a handful of raisins and half an apple and added 30g of Special K corn flakes to the yogurt! As an afternoon snack i had 10 g of dark chocolate and an orange! 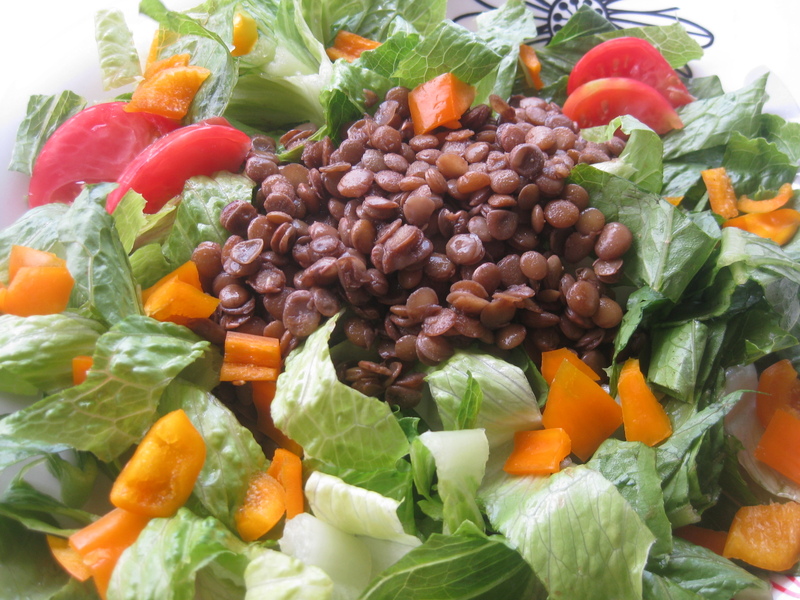 I had for dinner a lentil salad made of a bowl of cooked lentils mixed to lettuce, yellow peppers, green onions and tomatoes with balsamic vinegar, 1 tbsp of olive oil, cumin, salt and white pepper!